Hello guys! My name is iToughSmile and I have played Neith since I have tested many builds but I found that by far that this build is the most effective for sustainability and sustained damage output in team fights. This build is also capable of soloing FG with only losing 1/4 of your max health. Would you consider Titan's Bane in this build? 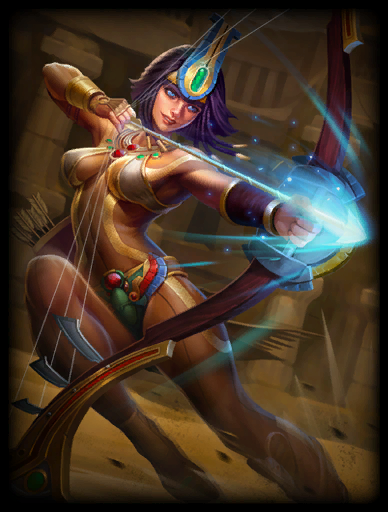 Neith is as ability-based as hunters get, so I feel like you may need another item that supports Neith's abilities. Just a thought, nice build overall! 117943 Stasis13 Would you consider Titan's Bane in this build? Neith is as ability-based as hunters get, so I feel like you may need another item that supports Neith's abilities. Just a thought, nice build overall! 116668 Anothny 2 words. Percentage Penetration. am i the only one who dont like to build trans on hunters? 116412 Nokuba am i the only one who dont like to build trans on hunters? But my preference is crit these days otherwise. And Fatalis. I love my Fatalis. 116414 Branmuffin17 I'd put myself in that general category, honestly, but I do see the functionality of a Trans build in very specific cases... Mostly this God... With Ullr and skadi second. Somewhat lesser but still functional use for chiron and Medusa, and maybe others that I can't think of right now cuz I'm tired... But my preference is crit these days otherwise. And Fatalis. I love my Fatalis. 116251 sunny108108 nice build of neigh! No, you're thinking of Chiron.